Weeks after former Steelers wide receiver Antonio Brown went on LeBron James's HBO show, "The Shop" and said he was never on the same page with quarterback Ben Roethlisberger during his time in Pittsburgh, Le’Veon Bell confirmed to Sports Illustrated the Steelers QB was a factor in his departure as well. 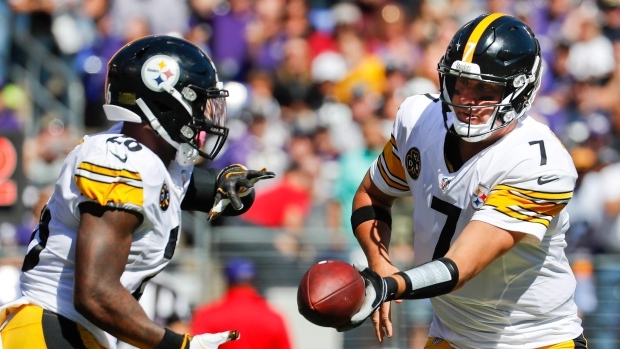 In an interview with SI discussing his decision to leave Pittsburgh and sign a free agent deal with the New York Jets, Bell said while Roethlisberger wasn’t the only factor, he was one of them. Bell’s remarks came a couple weeks after Brown was asked on “The Show” why Roethlisberger called him out on a play. “The type of guy he is. He feels like he's the owner,” Brown said. Bell sat out all of last season after the Steelers placed the franchise tag on him. The 27-year-old said he first planned to return in Week 7 but the Steelers wouldn’t give him the assurances he was looking for, according to SI that they wouldn’t trade him, which could compromise his free agency value, or use the transition tag on him next season. Bell also told SI he considered returning in Week 13, but was put off by comments made by teammates and feared his prorated earnings would have been lower, making it potentially easier for the Steelers to use the transition tag. Bell agreed to a four-year, $52.5 million deal with the Jets.